Arsenal get the new season off the ground with a home game against West Ham United at the Emirates. The Community Shield victory against Chelsea last week was a great boost for the team, but the game against West Ham will be the real test . It’s crucial for Arsenal to keep their momentum going and get off to a winning start. Last season ended so well with the team retaining the FA Cup with a commanding performance in the 4-0 victory in the final against Villa. The pre season has gone perfectly to plan too with victories in every single game and some very good performances too. They showed in the win over Chelsea last week that they have what it takes to win games no matter who the opposition might be. The team who started against Chelsea should give us a pointer to the one which plays against West Ham and I wouldn’t be surprised to see the same team. I’m not certain Theo Walcott will get the nod again ahead of Olivier Giroud up front and he surely won’t take Alex Oxlade-Chamberlain’s place on the right of the attacking trio after The Ox was so impressive last week. I wouldn’t be surprised to see Walcott on the bench, but there’s no harm in having quality ready to bring on at any time. Alexis Sanchez only came back to pre season training on Monday after winning the Copa America with Chile and it looks like this game will come too soon for him. He may well have kept himself fit during his break, but match fitness is a different thing altogether. There is a chance of him making the bench, but I think we’re more likely to see him on the bench at Palace next week. With Chelsea dropping points at home to Swansea yesterday and facing a trip to City next week there’s a real chance to lay down a marker. Chelsea are favourites to retain the title and I think any team who finishes ahead of them will be champions this season. If Arsenal are going to have a chance of doing that they need to take advantage of any Chelsea slips. West Ham started their season earlier than Arsenal thanks to their participation in the Europa League. They struggled through the first two rounds against minnows before going out on Thursday night and got red cards in each round too. Their fans are happy to see Slaven Bilic in charge after the departure of Sam Allardyce, but he has a lot of work to do ahead of their move to their new stadium next season. If Arsenal can approach the game with the attacking verve we know they have I think there are goals to be had. I think The Ox looks like this could be his season and I’m hoping to see good things from him from the off today. There’s genuine belief in the team and the fans too for this season and now it’s time to show us that this team can do something special. As usual this season my fantasy league is up and running again and it’s open to all comers with a €50 prize (out of my pocket) to the winner. You can join up by using the league code 48497-14043 after you have set your team up here and good luck to all who play. There were over 1,000 teams in my league last season and I’m hoping for even more this season. I’m also running my Predictions League again this season and it’s very enjoyable even if there’s no cash prize for the winner. The code for my league is FD757-ARR after you have signed up here and of course both games are completely free to play. 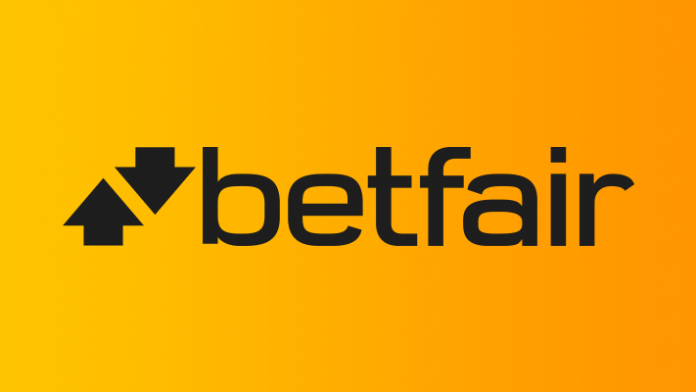 The partnership will give Betfair branding at all domestic fixtures played at Emirates Stadium plus hospitality on a match day. Betting Gist: Get a risk-free 9/1 on over 2.5 goals and Arsenal to win! Arsenal host Manchester City on Saturday – and Paddy Power are offering new customers a risk-free enhanced bet of 9/1 on the Gunners to win and over 2.5 goals in the game. Those odds are part of a two-way deal for new customers, with City to win and over 2.5 goals in the game also available at a huge price of 8/1. The Irish bookmaker will also refund your original stake as a free bet if your selection loses. Anyone without a Paddy Power account can open one through this link to qualify for the special odds. Arsène Wenger’s side will be desperate to return to winning ways after their disappointing 1-1 draw at Leicester City before the international break. The Gunners have picked up five points from their opening three Premier League games and earned a point against Manuel Pellegrini’s men in the same fixture last season. Arsenal are currently available at 15/8 to win Saturday’s match with Paddy Power, while the draw is priced at 23/10. City, meanwhile, travel to north London equally in need of a positive result following their shock 1-0 defeat by Stoke City at Etihad Stadium in their last outing. That surprise result against the Potters came after the Citizens kicked off their top-flight title defence with back-to-back victories over Newcastle United and Liverpool. Manchester City, who sealed a 6-3 win over Arsenal at Etihad Stadium last year, are currently available at 6/4 to win in north London. Paddy Power’s price boost on over 2.5 goals and Arsenal to win at 9/1 or City to win at 8/1 is sure to tempt plenty of punters into a flutter ahead of this crunch clash at The Emirates on Saturday lunchtime. Have Your Say: Do you see Arsenal and Manchester scoring above three goals?